To understand Palm Sunday we need to go back in time and location to Jerusalem in the early part of the first century and set the stage. Jerusalem is a bustling, center-of-the-world land. Filled with people from the nation of Israel and many other nations too! Especially from Rome! Why Rome? Rome had conquered much of the world at that time and Israel was one of its conquests. Let’s go back to just before the time of the Passover Feasts… a trio of God-ordained Feast days for the Jews. Somewhere between Mid March and early Apil on our calendar. Three feasts, the Passover, the Feast of Unleavened Bread and the Feast of First Fruits were very special to the Jews. These were mandatory feast days with very few exceptions. So almost all of the Jews living in Palestine at that time were tightly gathered in Jerusalem to offer sacrifices at the temple and to take part in a nationwide convocation. You can read about these feast days in Leviticus 23. During this time, and especially this particular year, the city and surrounding area were also teaming with Roman soldiers keeping the “Pax Romana” or peace Roman style. There had been uprisings by the Jews and unrest. Many Jews wanted liberation from Rome! Now let’s turn our attention to Jesus. During the time we are talking about, He is a rabbi (teacher of the law), a miracle maker, a rebel, a rockstar! One thing Jesus was not was obscure! His ministry had become renowned. Some loved Him, some hated Him, more probably followed Him to see the signs and wonders He performed as He spoke of the kingdom of God with great authority. An authority that was blasphemous to the Jewish leadership. One thing that was always in Jesus’ wake was controversy. Controversy that quickly turned into direct conflict between Jesus and the Jewish leadership. It had been building like steam in a pressure cooker. The Jewish leadership could not keep Jesus in line! The tipping point of this conflict came when Jesus raised His friend Lazarus from the dead. This had happened days before the Passover feasts! Jesus was powerful, too powerful and his massive following a threat to the stability of Jewish leadership and Roman occupation! Jesus spoke with an authority like never heard before. He called God HIS father. 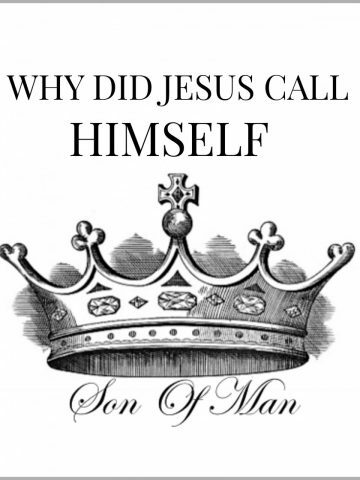 In essence, Jesus was proclaiming Himself the long awaited King of the Jews, the Messiah! So frightened of losing power and control over Israel, the religious Jewish leadership was openly seeking to put Jesus to death. Although the Jews had been looking for this King sent by God to put things right they were not looking for a king like Jesus. They did not believe He was the leader the Jews had been anticipating for centuries! But, He was and is! Jesus, like all good Jews, had come to Jerusalem for the Passover feasts with his disciples. When the people of Jerusalem heard that Jesus was entering the city they came out to the Mount of Olives (just outside the city) to meet Him. Remember, by this time He was of rockstar status. Everyone in Jerusalem and all the surrounding areas knew of His miraculous works. These crowds of people started casting their cloaks down to make a road for Jesus, an ancient expression of honor and submission. They also cut branches from palm trees and some spread those before him too. Many of the crowd were carrying and waving palm branches, a symbol of victory. National victory over the oppressive Roman empire. Most in the crowd saw Jesus as the leader to set up the earthy self-rule of Israel overthrowing the Roman Empire. They were greeting Jesus as a triumphant king, coming into the capital city to overtake it. They thought Jesus would be THE ONE to lead a military uprising against the Roman occupiers and usher in a government that would set all things straight. Their cries of Hosannah… “save us” or “God saves” were evidence of this. Finally, the long awaited Messiah was coming home! The hero of all heroes was coming home to Israel. They had waited so long! Their Torah (first 5 books of the Bible) and their prophets had been prophesying Him for centuries. He would make all things right again for the Jews who had been captured and overrun and abused by conquering nation after nation for centuries! The fulfillment of prophecy and Scripture about the Messiah was taking place before their very eyes! Prophesy and Scripture that all Jews knew full well! Jesus, the Messiah, the King of the Jews, the Savior of the world was coming down the Mount of Olives through the throngs of ecstatic Jews riding on a donkey. The foul of a donkey. The imagery is rich and so important! In ancient times if a king would come into a land, overtaken by his country, riding on a white horse he came as a conquering king! He would be ready to set up HIS style of government and meter out HIS type of judgment HIS way! The Jews were expecting their Messiah to be a riding-on-a-white-horse-kind-of-king! Full of power and fury! However, if a king rode into a land he had overtaken riding on a donkey it was a symbol that he had come as a peaceable king. A king of kindness and grace and peace. You see, this was Jesus’ kingly entrance into the capital city of Jerusalem. Jesus was coming in as THE King of peace! The peace He offered was not between the Jews and the Roman empire. It was much, much greater! It was the peace between God and man! If only the nation Israel had understood as a whole. They had the Torah (first 5 books of the bible), the Prophets, the covenant, the Temple, the promises and more. A handful of Jews knew and believed! But the nation as a whole did not! Remember this! I’ll circle back to this in a minute. Therefore, having been justified (made not guilty of our sins because Jesus died for them in our place) by faith (believing that Jesus is your Savior and submitting your life to Him) we have peace with God! Jesus’ first trip to planet earth was one of setting things right between God and man. Not man and man! He came to this world with a gospel of peace and forgiveness and repentance and love straight from His Father! And this gospel was and is for EVERYONE! But, He is coming back! Know this like you know your own face in the mirror!!!! HE IS COMING BACK! But the next time Jesus comes back to planet earth he will be riding on a white horse! Are you waiting for him? Do you anticipate the Hero of the world’s second coming. When He comes again it will be to set up His kingdom on earth. Now, let’s touch on what I asked you to remember. The nation Israel as a whole did not recognize their King on Palm Sunday. Even though they could have known the very day the first Palm Sunday happened because the book of Daniel told them. It was on that first Palm Sunday Jesus rode into Jerusalem in a big symbolic way to show the nation Israel HE was the king they were waiting for. But they did not recognize Him! They did not want the kind of kingship he offered. If they would have believed, the Kingdom of God would have been ushered in! It is always disbelief that robs us of God’s forgiveness and blessings! Many of us will receive palm branches today in church. A symbol of Jesus first coming as the KING OF PEACE and the salvation He offers us. A victory indeed! Do you, will you receive Him as your KING? So let’s not forget to look ahead! Our King is coming! He is coming ( and one day soon) on a white horse to set all things in order! Let’s wave our palm branches before the KING… the Overcomer… the Victor…Our Redeemer! MARANATHA which means “THE LORD IS COMING”. Come quickly Lord Jesus! Thank you Yvonne for sharing. Happy Easter to you and your family. That was wonderful.yes Hosanna in the Highest!He lives! And He Soon to return.Our redemption draw the nigh. Just beautiful, Yvonne, and so right. Thank you! Hi Cecilia, Happy and blessed Easter to you too! I had to share this on Facebook. You are very good at explaining this. Have a blessed Easter! Yvonne, thank you so much for the historical, in-depth teaching on Palm Sunday, the fulfillment of prophesy then and soon coming. Amen. We could never be deserving of what Jesus did for us. The fact that He did lay down his life for us shows us how much God loves us, just as John 3:16 promises. God bless you, and thank you for your sharing of your faith with your readers. Thank you for your beautiful illuminations on Palm Sunday! Blessings! Thank you, Yvonne. This sounds so much like our Pastor’s sermon this morning! I so enjoy reading your lovely posts. Have a beautiful Holy Week. Wonderfully written and such a joy to read! God bless you, Yvonne, for this inspiring post! Thank you Yvonne! God Bless all those who believe and live in peace. “but because He threatened their security, prestige and income. He was going to ruin everything they had worked so hard for, …” Thus the Pharisees put a great deal of pressure on Pontius Pilate over a couple of days to crucify Him. The article goes into more detail. That is right, Maria. But the Pharisees were the spiritual leaders and were more concerned with what they had to lose than the lost souls of those they had charge over. They had agreed to help the Romans keep Pax Romana, a job they were never given to do by God. They were hypocrites. They oppressed their people by adding to the Law of Moses. Burdens that God Himself did not ask of His people. Jesus was hard on them because they knew better. They became political and literally hurt the Jews and led them astray! But here’s the bottom line… Jesus died for the Pharisees too! He did not hate them, he loved them. “No man has love greater than this to lay down his life for his friends”. Jn 15:13. But Jesus laid down His life for those how hated him and plotted against Him and lead to His death. What a Savior! So true! What a unique religion to believe in Jesus Christ, God, who became man, suffered and died for us and saved us! It is really something to ponder! Believing in Jesus for your eternal destination is the ONLY level playing field. All other have some advantage or disadvantage for who you are! Jesus take everyone no matter who you are or what you have done! Amen! Come quickly Lord Jesus, come quickly! Yvonne, thank you for this wonderful message on Palm Sunday – I did not know the symbolism involved and thank you so much for your wonderful explanation! You are welcome, Dana! 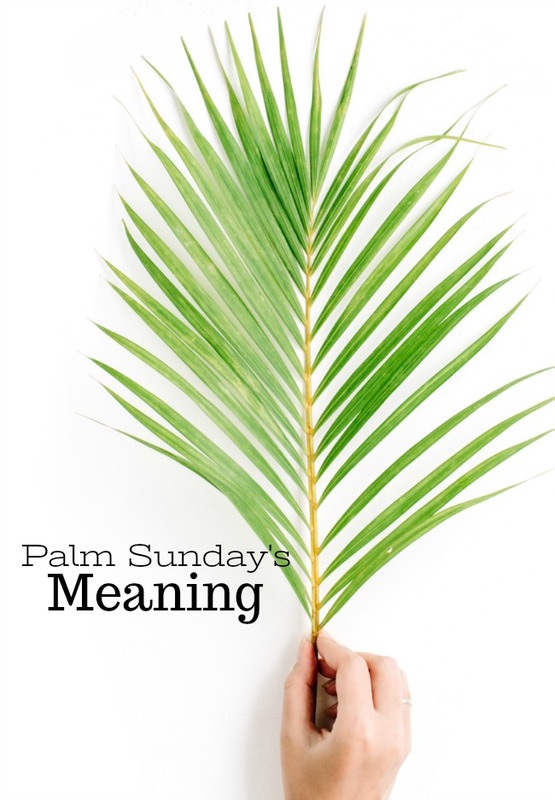 I think Palm Sunday is one of the most important days in the life of Jesus to understand. God bless you! I look so foto your Sunday posts! I sit at your feet and feel your love for Our Lord. Thank you for teaching such a beautiful message that brings me to the crowd laying down the palms in honor of Him. How sweet Rogina! Little children carried Palms into church this morning. It was so touching! I read the Meaning — an email sent to me by my sweet wife. What I appreciated most about this was its beauty in its simplicity. This is the way the Understanding should be — it beautifies itself with its simplicity. To have faith is of this same simplicity — as it should be. Yet many of us expect a difficult road to follow in order to find this Gift free to all who believe. I read the comments and noticed that not one was signed by a man. Thank you for “representing” this morning. My blog is mostly read by women because it is all about decorating. Thanks for reading today! Very enlightening article. I would love to be in Bible classes taught by you. If you ever have online classes I would join. Bless you. I do teach a class in Lancaster Pa. If you are ever here you are welcome to join in! Thank you ! We read this on our way to church this morning and throughly enjoyed it! God’s peace be with with you! And God’s peace be with you too, Joan! Good words. I praise God that while we are waiting for His return we are in fact now in his kingdom. Not an outward one but inward. He rules his people today. That is our battle. Thank you for your willingness to testify to our Christ. I love the thought that I am in God’s kingdom. Even here on earth! Thank you for this morning’s reading. You explained the history in a very simple way; put everything in order for me. What a great way to start my day! Thank you for your beautiful post about Palm Sunday! I have always loved this day and love my Lord who has given me peace with God. What a wonderful explanation!! Thank you for sharing!! So beautifully stated, Yvonne! Thank you for reminding us of the perfect symbolism revealed in Jesus entering Jerusalem on a donkey and His return on a white horse! May His name be praised forever and ever. Thank you for this beautiful post. I had not heard before the historical significance of why Jesus rode on a donkey. So many truths to be ponder. My heart longs for the day that Jesus returns as King of Kings to take us home. Have a blessed Easter. Hi Mary! I pray you have a blessed Easter too! I always enjoy your comments of faith that are so simply and kind and loving. It is so easy to love and accept Jesus. His grace, and our salvation. I pray everyone knows Him the way you do. I love your blog for all of your beautiful decorating ideas, but when you talk about your faith, I feel a special kindred closeness. I get so excited to see those posts especially and save them for when I have uninterrupted time to savor them. Thank you for sharing the true beauty and love of our Savior! It’s always so exciting to see when a blogger I follow is also a sister in Christ. Thank you for the your beautifully expressed message today. Yvonne, thank you for the historical context of Jesus’ entry into Jerusalem! There is much to grasp and such reverence in digging deeper into the scriptures. Awaiting His return with great anticipation!! Hi! I’ve followed you for quite some time, but haven’t until recently started reading your devotions. They are so very good and encouraging! Thank you for not being ashamed to share the gospel! I also enjoy your decorating tips and pictures of your beautiful home ?? Beautiful and Poignant!!! Thank – you so very much, Yvonne, for the lovely Bible lesson. A wonderful reminder that I’m sure most of us need. You are such an entrancing storyteller of the Bible!!!! I learn so much from your Sunday posts! Thank you for boldly proclaiming Christ in your life and sharing that with so many! Thank you for this great post! I learned from it as all your posts! Did you know that Jerusalem have a bit of brown fur across their backs and down their legs so that if you are looking down on them you clearly see a cross? I’m sure that was the kind of donkey Jesus rode on. The Lord is amazing in detail and this is just one more detail that is no coincidence but points directly to the mission Jesus came for! Yvonne, thank you so much for your Sunday devotionals. You are a wonderful scholar of the Bible. I learn so much from your Sunday blog posts. Thank you so much for keeping Christ central in your business. You are a blessing to so many. I am relatively new to your blog and am enjoying reading it so very much. I delight in your domestic interests as I share similar fascinations. Thank you also for your Sunday posts and this lesson today as we continue to focus on the true meaning of Easter. What a wonderful message! You have such a gift for writing!! Thank you for inspiring words. Beautifully said! Amen and amen!!! My heart is full. Thank you for your teaching each week. This was such a wonderful illustration you used of anticipating a hero coming. Your Dad was a wonderful example. Many of us glance at Palm Sunday. Thank you for leading us to look closer on the real meaning of this Triumphant Entry. God bless you this week. I pray that all who hear your message receive it with an open heart. For our LORD is coming soon. We are the last generation! Maranatha!! That is my prayer too Deborah! Big smiles back Susan from StoneGable! Thank you so very very much for your Sunday posts. I enjoy reading your blog almost daily, but your Sunday writings are inspired and especially appreciated. It is so easy to see all the cute bunnies and chicks in the Easter decor and forget why we celebrate rebirth: the great sacrifice of our Savior! You are so right Jae! Thank you so much for explaining Palm Sunday. I grew up in church, but our church didn’t explain Palm Sunday or Lent. I’ve learned so much from your lessons. And all of God’s people said AMEN. Thank you for sharing your faith with us. I’m on my way to church in a few minutes to celebrate Jesus’ entrance into Jerusalem and the beginning of Holy Week. Praise God, the King is coming! Thank you for these beautiful words. You always make the Bible so real and personal. Thank you for the beautiful message today in your blog.Yvonne your faith in your Lord shines through in your writing. Hope you and your family have a blesssed Palm Sunday. Thank you Theresa and your’s too! WOW! Beautifully put. I hope that anyone who has not excepted Jesus Christ as their Savior will ponder this message in their heart. Bless you for sharing the news today?. Praise him Praise him, our blessed redeemer. Yeshuha (Jesus) is coming for all who believe in him! Thank you for this beautiful reminder of today. I will be worshipping Palm Sunday at my church. I sing the choir, and this morning we doing a procession walk with palms into the sanctuary. 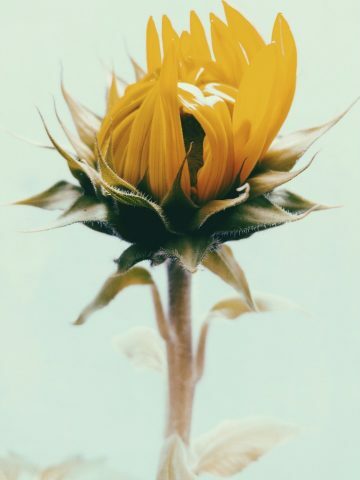 It will be a double blessing to have a deeper, more detailed understanding of today’s special meaning because of your beautiful, inspiring post. Have a blessed day. I love the way you tell the story so I posted your version to Facebook. Thanks, friend! This was an excellent lesson. I truly enjoy your Sunday Bible lesson and wish I lived near you and were able to be part of your Bible class. Wishing you a blessed Palm Sunday! Thank you so much for this beautiful post. What a wonderful teaching to have in my mind and heart as I start my day! God bless! Thank you. for sharing. I am so blessed by this early this morning. Thank you for this beautiful and wonderful post! You are such a great teacher! Blessed is he who comes in the name of the Lord! Thank you for these words this morning. They warmed my heart. I’m looking forward to our church service today!!!! Have a blessed day! Well written and wonderful to read! We are redeemed by Jesus, our Lord. We must follow His good example, and try to be the person He was as God made man! Not an easy task, but we can do it! Thank you, Yvonne, for this wonderful post. I enjoyed reading it! Happy Palm Sunday to you and family! Thank you Yvonne, for this post. Receiving palms in church is a tradition I remember as a little girl but I never really knew what it meant. This post is very timely for me; I purchased palms to give at church and wanted to be able to explain the meaning. I didn’t know when I got on your blog that the answer would be there but thank the Lord because he knew. I will share portions of your post tomorrow. Blessings and peace to you. 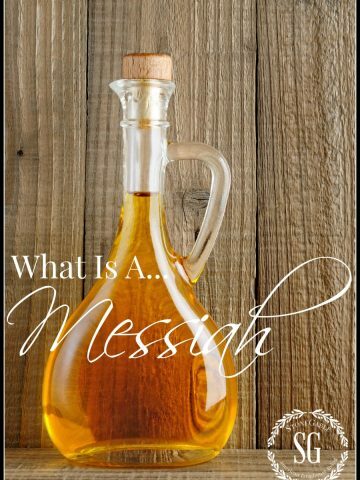 I really enjoy and appreciate the biblical lessons on your blog as well as the design tips and recipes. You are a blessing.